Modern wedding & family photographer serving Los Angeles, Orange County & all of Southern CaliforniaCon!!!!!!!!! I realize I have been neglecting my blog as of late. In the past couple of weeks I attended the San Diego Comic-Con and the Star Trek Las Vegas Con. Too busy being nerdy more than usual I guess. I took a ton of photos at both Cons so here are the highlights. For Comic-Con I decided to do a little photo project instead of just taking the typical Con photos. 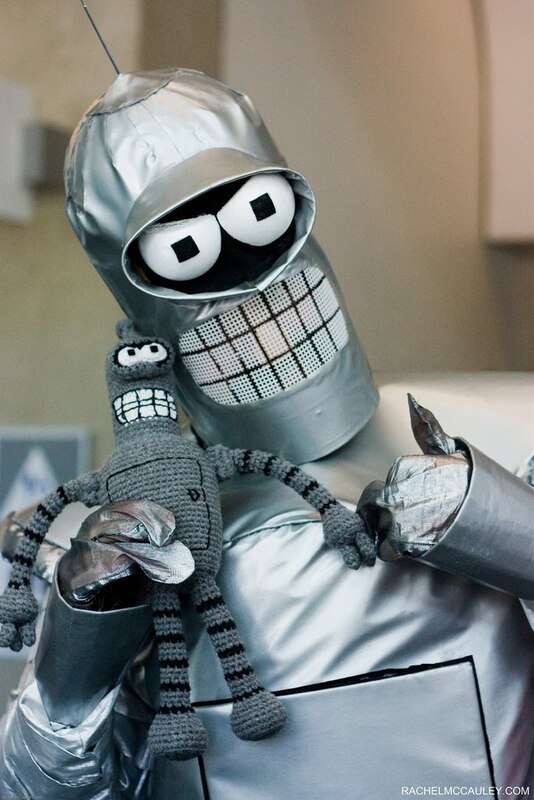 Prior to Comic-Con I had just finished crocheting a Bender for some friends who live across the pond. I thought it would be fun to have one last romp in the U.S. before he began his life over in the U.K and have him take photos with various writers, actors, toys and costumers. If you'd like to see more of Bender's adventures click on the slideshow below. It includes meeting the writer of Scott Pilgrim Bryan Lee O'Malley and comedian Peter Serafinowicz! And this highlight that occurred at the Star Trek Con happened must unexpectedly. I caught The Shat photobombing a group of unsuspecting costumers. It was Picture of the Day over at TrekMovie.com on August 14, 2010 and this moment will most likely be in his current movie in production called Captains! 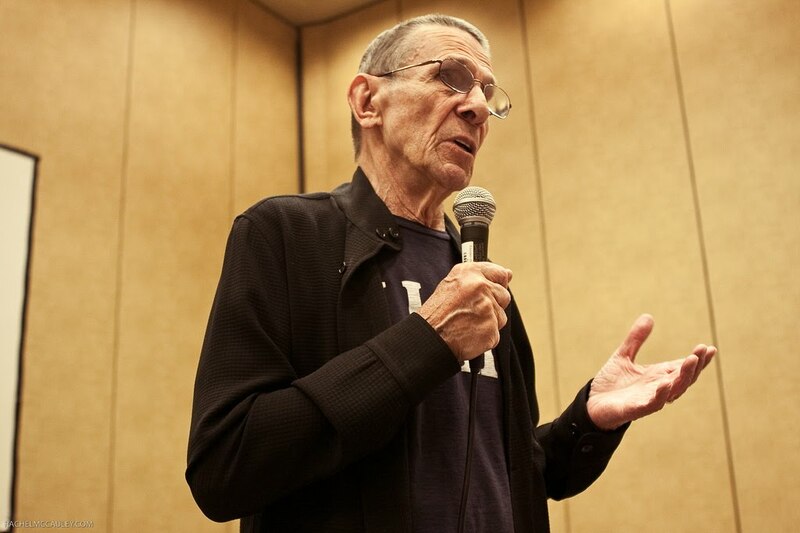 Another fantastic highlight was being able to attend a photography seminar by Leonard Freaking Nimoy. I have enjoyed his work for sometime now which you can see here http://www.rmichelson.com/Artist_Pages/Nimoy/pages/Leonard-Nimoy-Gallery.html. When I heard he would be talking about his latest project called Secret Selves I jumped at this rare chance to learn directly from one of my idols. 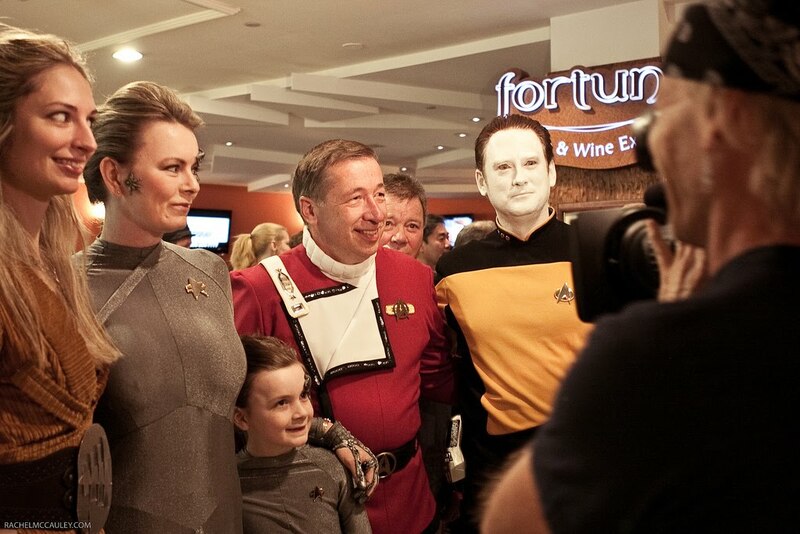 If you'd like you can view all the photos from the Star Trek Con over on my Flickr.